Visit Tnchick to join in the hunt. 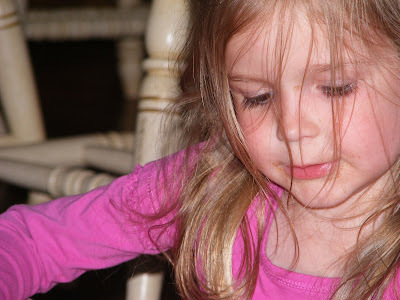 Very cute !...she looks like she's very involved in whatever she's doing ! Pink definitely is her color.. she does look quite intent on something! My pinks are up here. What a cutie pie! Pink looks good on her! Thanks for visiting my pink today!